Mikki loves to read books! How else is a dog supposed to say super smart? 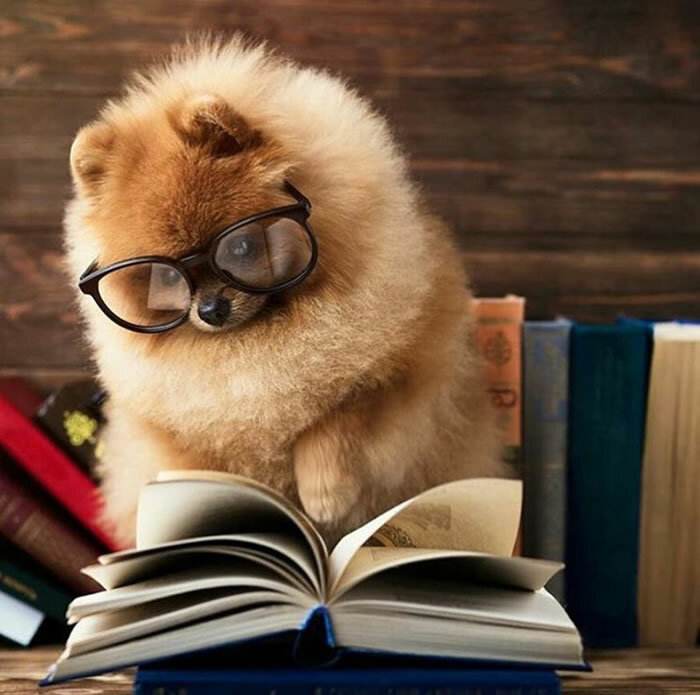 This Pomeranian looks adorable in these big glasses, and that coat is magnificent!